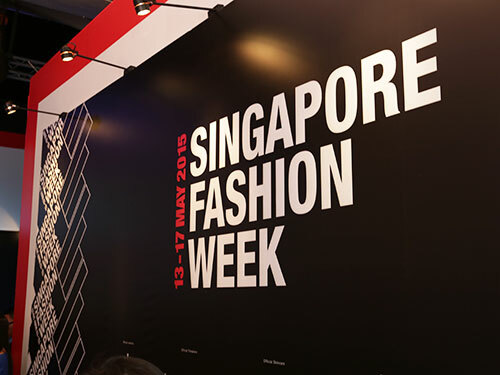 Singapore – Raffles Singapore is proud of our Raffles Fashion Marketer, Annita WU, who was chosen as one of the 16 finalists from 400 applicants across the island. In the 6-week bootcamp, 16 fashion and media students received one-to-one mentorship from fashion veterans in the media industry. She was mentored under Sharon Au, Head of styleXstyle, and had the opportunity to meet and learn from celebrities in the industry, such as Rozz Lee (Radio DJ) and Michelle Chong. Together with the other 15 interns, she was featured in 8Days magazine and i-Weekly magazine advertorial page, as well as styleXstyle TV which was broadcasted on Channel 5, Channel 8, and Channel U. In Raffles, we not only provide a good learning environment to the students but also bring ample learning opportunities to them. 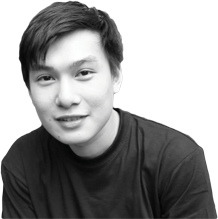 “During the bootcamp, I was given the task to plan a number of campaigns, including marketing, events and social media. The knowledge that I gained from my study in Raffles has helped me to accomplish these projects. Consequently, these projects would prepare me for my future career in fashion industry.” says Annita. The students’ milestones and hardwork were celebrated with a Graduation Ceremony on 27 July 2015 at MediaCorp Broadcast Centre. The Graduation ceremony kicked started with Sharon sharing her thoughts on the 16 interns and thanking the sponsor, SamsoniteRED and the participating schools for their support. MediaCorp artists Belinda Lee, Desmond Tan and Rebecca Lim made special appearances too to give an inspiring talk to encourage the 16 interns. Annita was awarded with the Certificate of Hardworking Warrior. “Annita is amazing. She doesn’t strike me as an intern at all. She is a dedicated and committed member of the team. She took the initiative to ask for things and to do things. She does not just sit there and wait for things to land on her lap. There was a few times where I set challenges for her, like I would intentionally leave out certain things to see if she can spot it or know how to pursue it even with the lack of information. She took up the challenges and she did it on her own with her resources. She set a very good example for people who are currently working with us because sometimes people get lazy or get demoralize so when we bring in energetic people like Annita, they are reminded of how they used to be when they first started. These interns really injected a whole new breath of fresh air and positive vibes to the company. So it is actually our gain, we gain a lot more or maybe as much as they did” Sharon Au commented. Sharon added that styleXstyle will be organising the bootcamp on an annual basis and will reach out to even more people. Through industrial attachments, students are provided with networking opportunities and real working experience. Raffles Singapore will continue to show support for such events/opportunities that will benefit the students. “I would like to thank Raffles Singapore for providing the opportunity for the students to attend the talk session given by Sharon and her team during their visit to promote styleXbootcamp a few weeks ago. 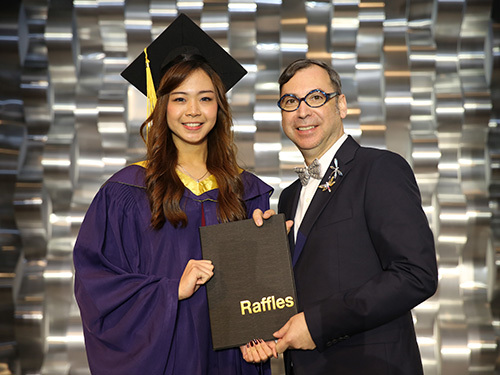 By opening more opportunities to meet industry professionals, I’m sure Raffles students will gain tremendous benefits from it!” remarked Annita. Relish the Graduation Ceremony from the photos below! Uncover your potential. Enrol with Raffles Singapore today!